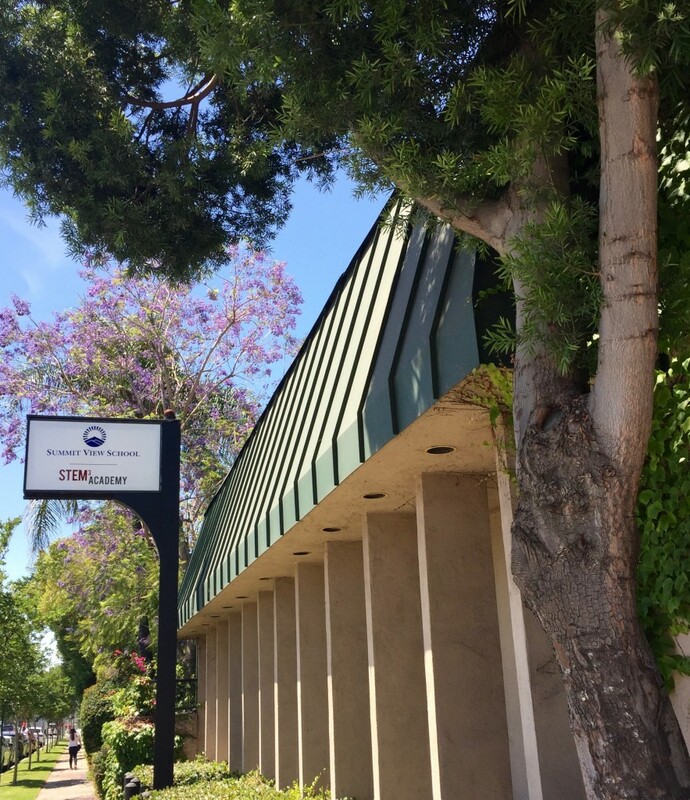 A few months ago, I met with Dr. Ellis Crasnow, the head of school Stem3 Academy for a tour of the campus and a chat about the program. Dr. Crasnow holds a PhD from USC and has taught math, science and English at the college and high school levels. He is friendly and low-key, a welcoming presence at the school. 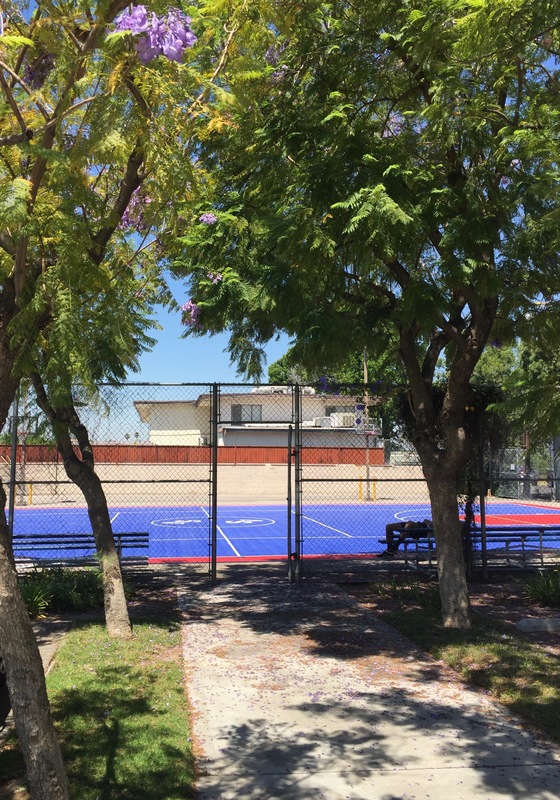 We met at the Valley Glen campus, but Ellis explained that the school also includes a Culver City campus that has expanded to include middle and high school. 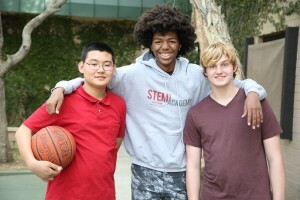 STEM3 Academy is a school for kids grades 3-12 with social and/or learning differences. STEM3 Academy is a school under The Help Group. STEM is short for science, technology, engineering and math. STEM3 Academy School has a warm, nurturing feeling, making you feel like you want to roll up your sleeves and get involved in any of the various classroom projects, even if you’re not a STEM person (I’m definitely not!). Ellis knows the details of every project and he knows every kid’s name and what they’re working on, from coding or expository writing to robotics and a 3D printing project. He explained big concepts and project details, making them come to life with explanations of real-world applications happening in student labs. When I asked Ellis if students must be focused on technology he told me the school welcomes non-STEM students too. 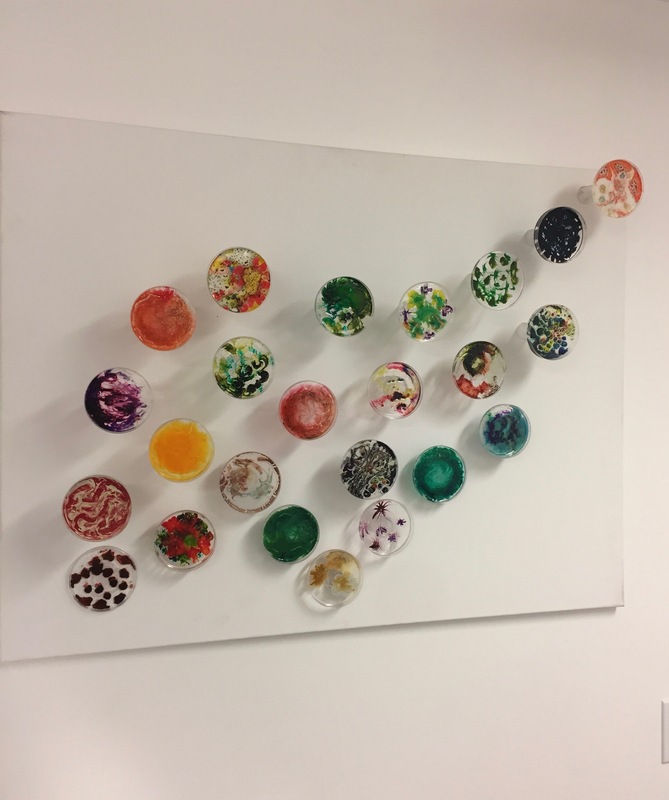 He is looking for curious, motivated students in all disciplines, including the arts. 1. Your school is very impressive! Why do you think the place is buzzing with such positive energy? 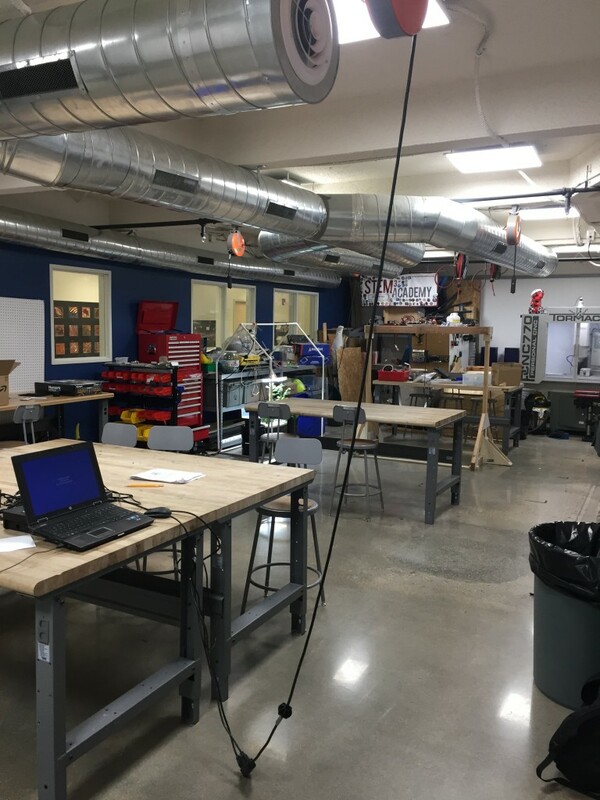 The classes are directed towards student interests and skills—they have an interest in classes like robotics, engineering and design, cybersecurity, and computer programming. In addition, the way in which the classes are taught also plays to their strengths rather than their weaknesses. 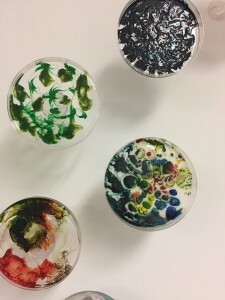 Classes are hands-on, and students engage in real-world projects so that what they learn is not only of interest to them but also relevant to the world in which they live. That generates excitement. 2. What kind of student does Stem3 Academy seek to admit? We look for students who are passionate, engaged, interested, who want to learn and try, who are makers and builders. They might be writers or artists, scientists or math whizzes. What they’re interested in matters less than that they are interested. Our goal is to provide them the resources to excel in their area of interest and passion. 3. 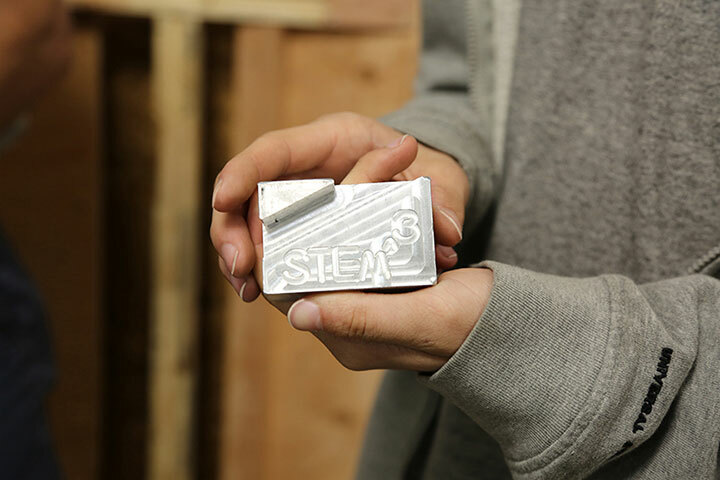 What are some of the traits you believe will help a student succeed at Stem3 Academy? Students who are collaborative and creative, who are independent thinkers, who persevere and persist, who are positive and optimistic about their own future and their prospects will be successful. Also those who are strong academically or those who are tactile or kinesthetic learners, or those who don’t learn in traditional ways (by being lectured to or rote learning)—they will all do well with us. 4. Can you tell us a bit about college acceptances your students have received? Our first year as an independent school, we graduated 5 seniors all of whom went to college. This year (in 2 weeks’ time!) we will graduate 14 seniors who have already been accepted to UC Davis, UC Irvine, UC Riverside, Cal State Northridge, Cal State Long Beach, Cal State Channel Islands, Woodbury University, Parsons School of Design, Bard College, and many others. 5. Do you have to be a STEM kid to thrive at Stem3 Academy? No, not at all. We would as happily accept a poet as a physicist. What matters more is the passion a student might have for drawing or drama, or writing. We will support their passion no matter the area of interest. 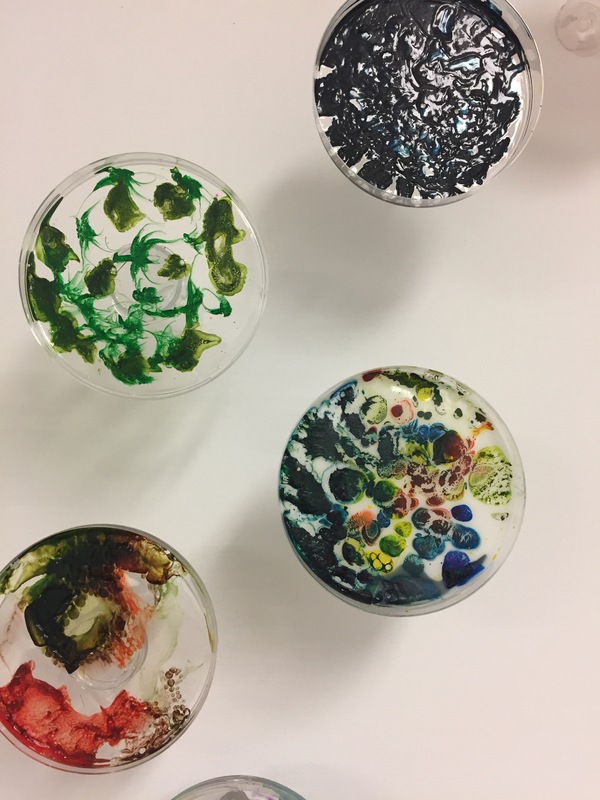 The importance of STEM is due to the overwhelming influence that technology has had on every area of human endeavor—it has changed both what we do and how we do it, and that is as true for an artist as an architect. 6. How is Stem3 Academy different from public school programs for kids on the spectrum or those with ADHD? We distinguish ourselves in a variety of ways. First, our focus is on learning, not on teaching. Classes are student-focused, not teacher-focused, so that the emphasis is on student collaboration and engagement in making meaning and in learning. 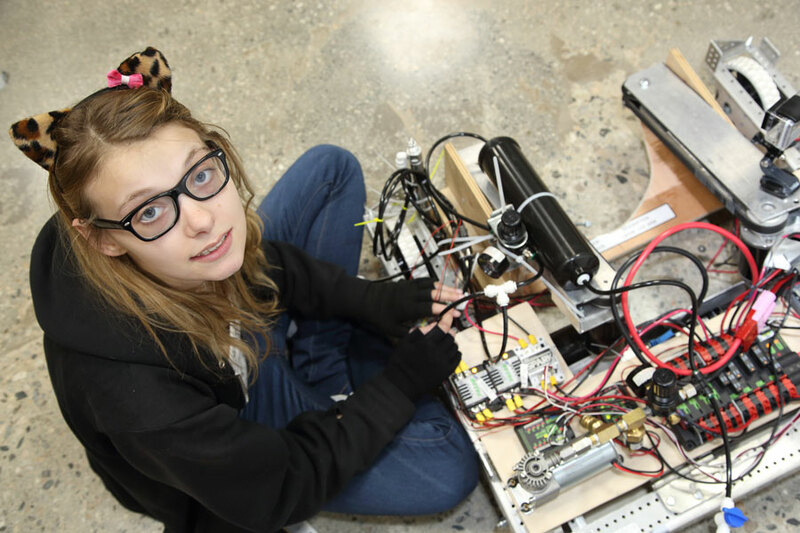 Secondly, there is a focus on the development of real-world hands-on projects, which develop student skills in collaboration, communication and creativity. Third, we encourage students to be active learners in class in doing work when teachers can support them, and do passive work (reading, research) for homework when they can work on their own. This is the reverse of what happens in public school programs. Fourth, we encourage the use of technology in all subjects and have rich resources for student use on campus: 3-D printers and pens, CNC mill, DSL cameras and video cameras, drawing pads for digital animation, Go-pro style cameras, sound mixing table, green screen, microphones, tripods, 3 different robotics platforms, etc. Third Edition of Beyond The Brochure coming Fall 2017! 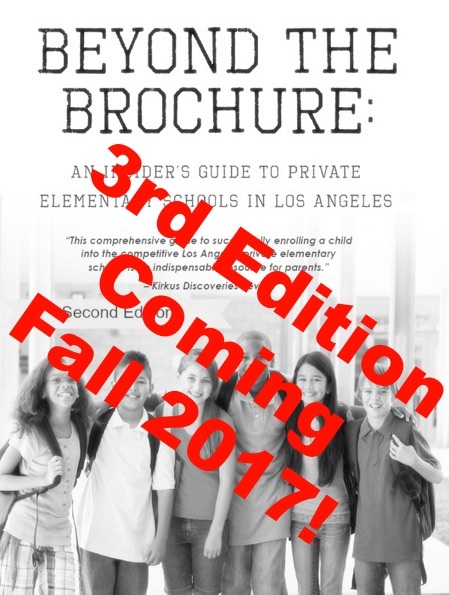 We are excited to let you know we’re working on the Third Edition of Beyond The Brochure: An Insider’s Guide To Private Elementary Schools in Los Angeles. 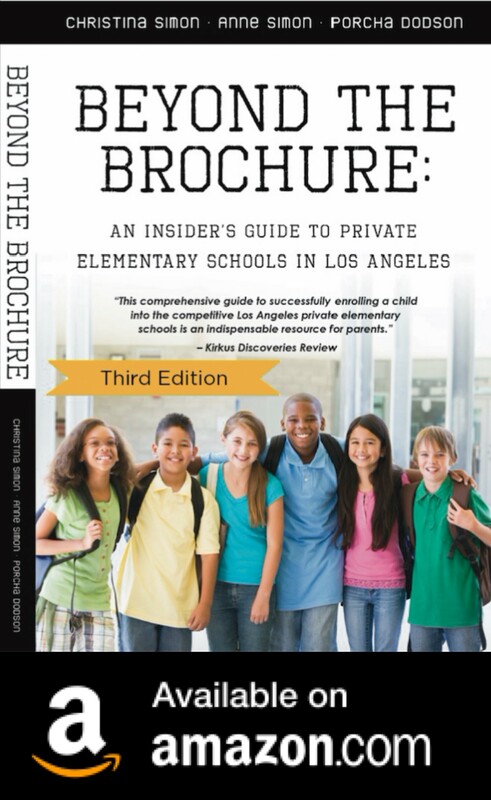 Since the Second Edition was released in 2013, there have been some changes in world of L.A. private schools that made us think the timing was right for an updated edition of the book. We appreciate your support and enthusiasm for the blog and book. We look forward to bringing you the new book in Fall 2017! 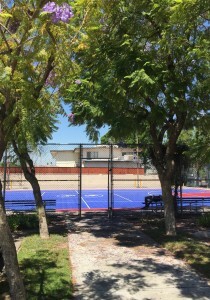 Find us on Facebook for all the latest L.A. private school news and information!